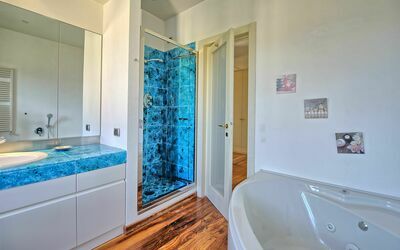 Rezervujte svoji dovolenou na dobu od 30 březen 2019 do 01 červen 2019 a uřetřete 10 % (minimum 5 nocí). 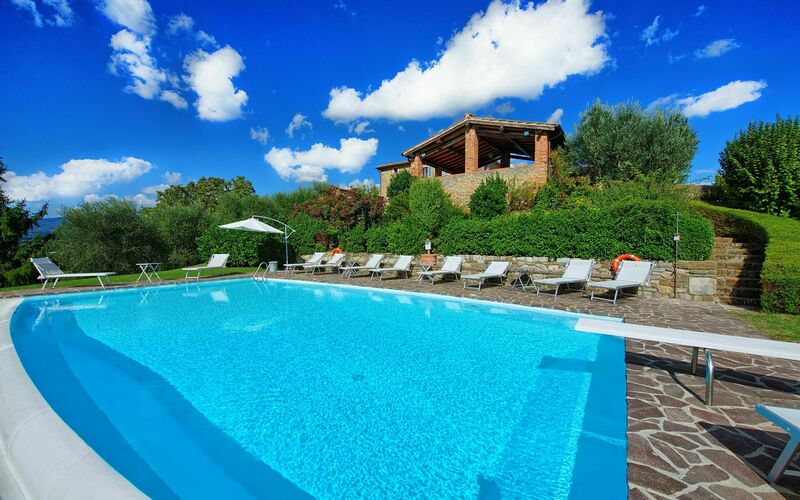 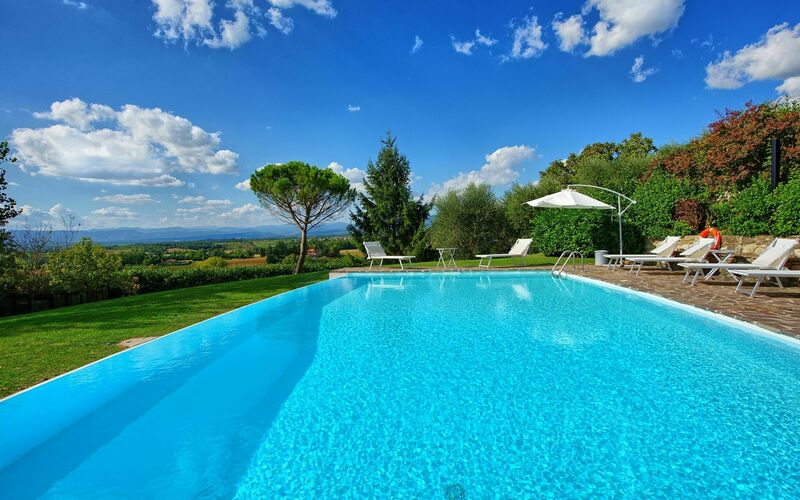 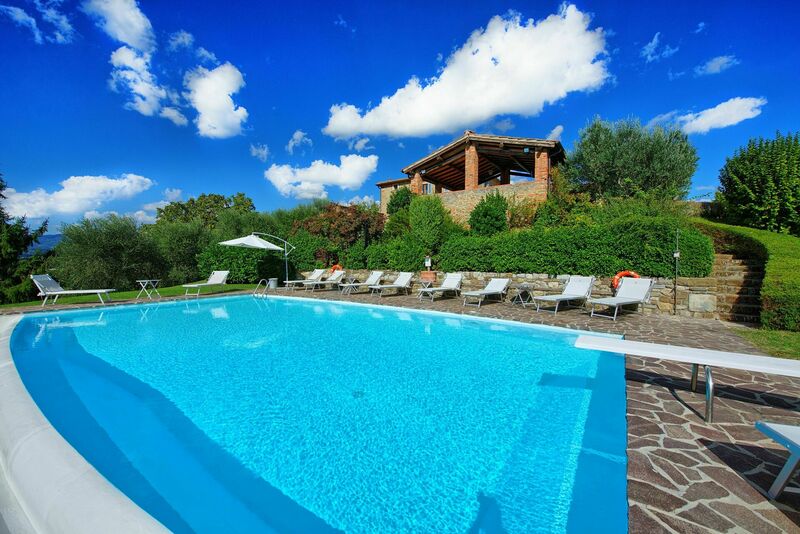 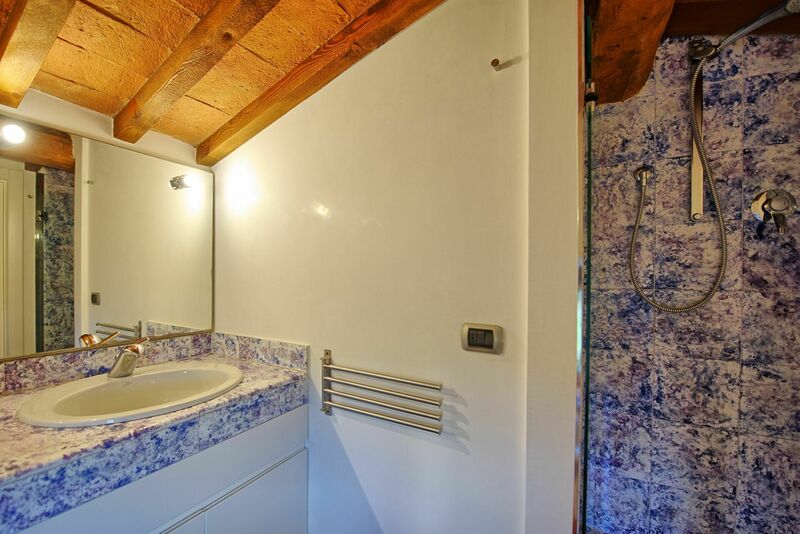 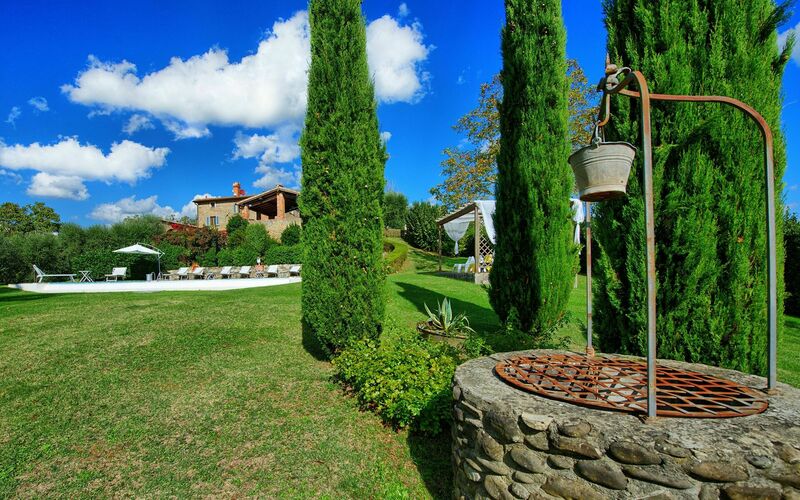 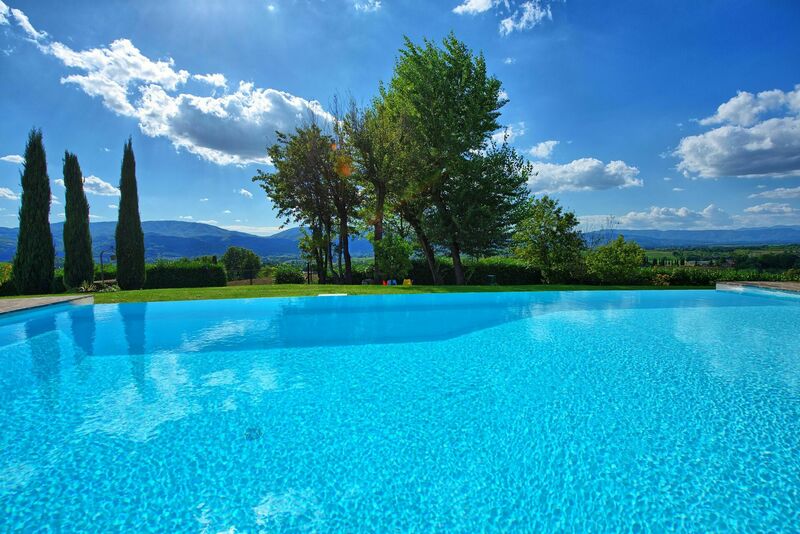 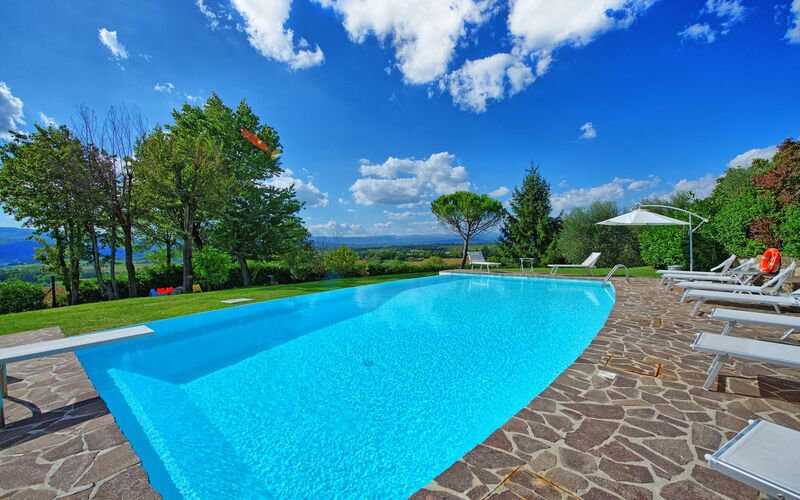 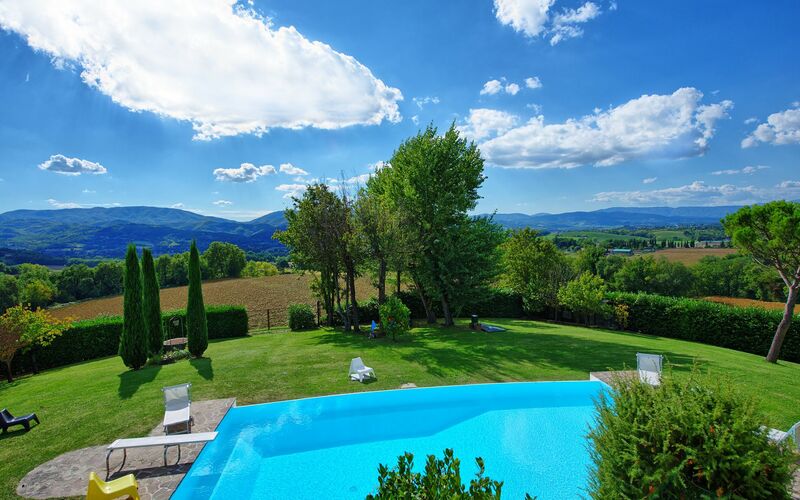 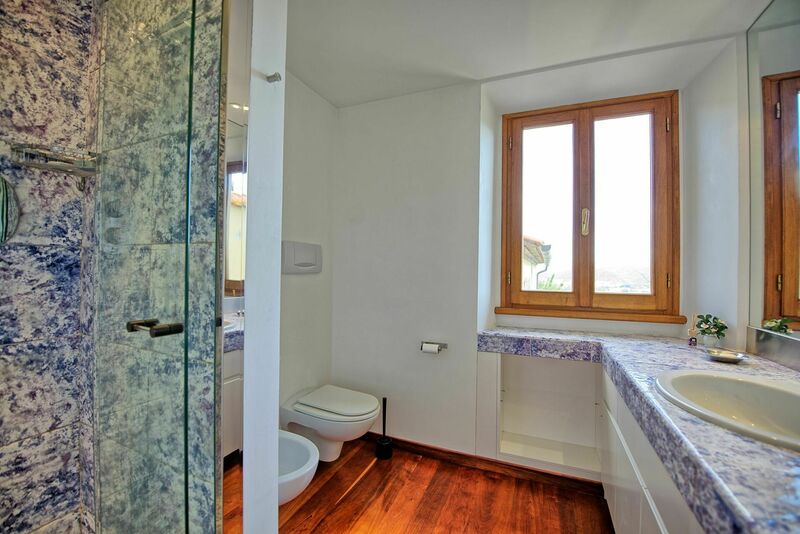 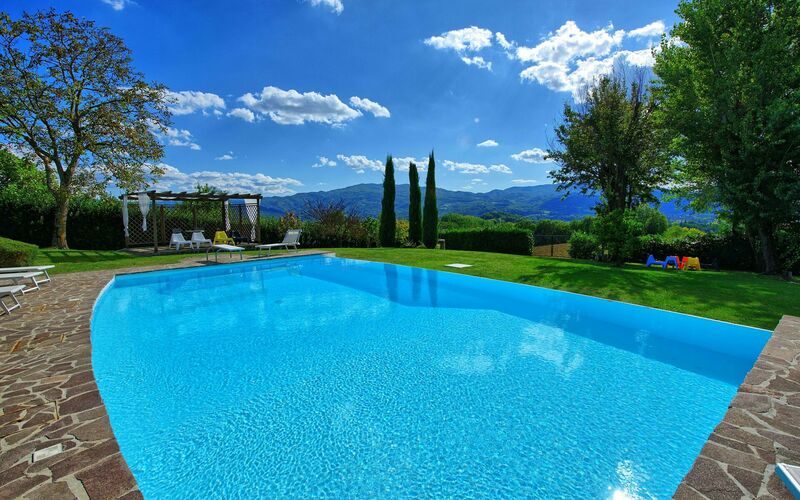 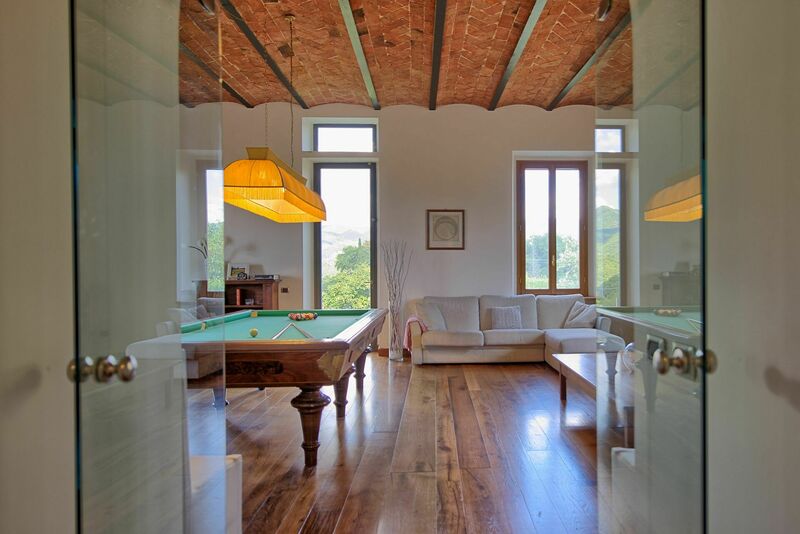 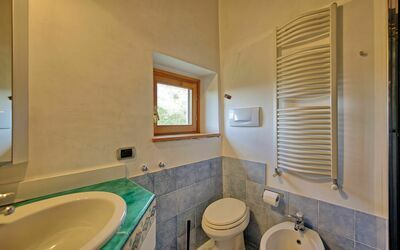 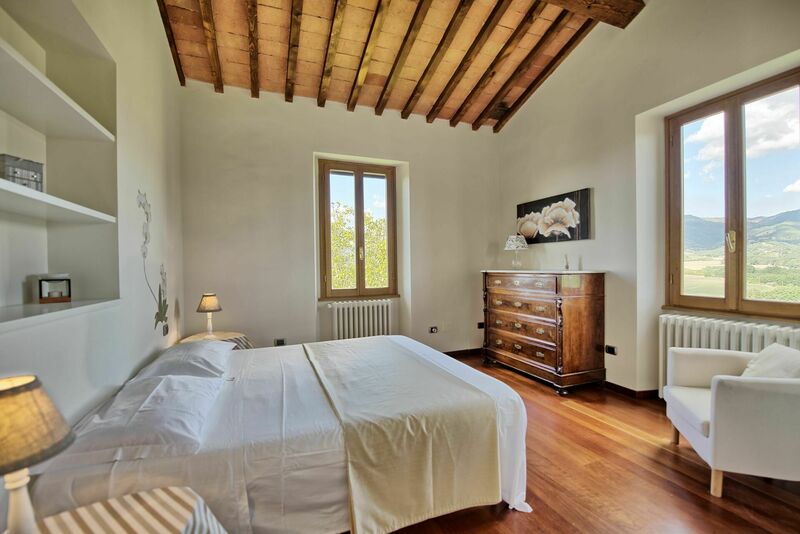 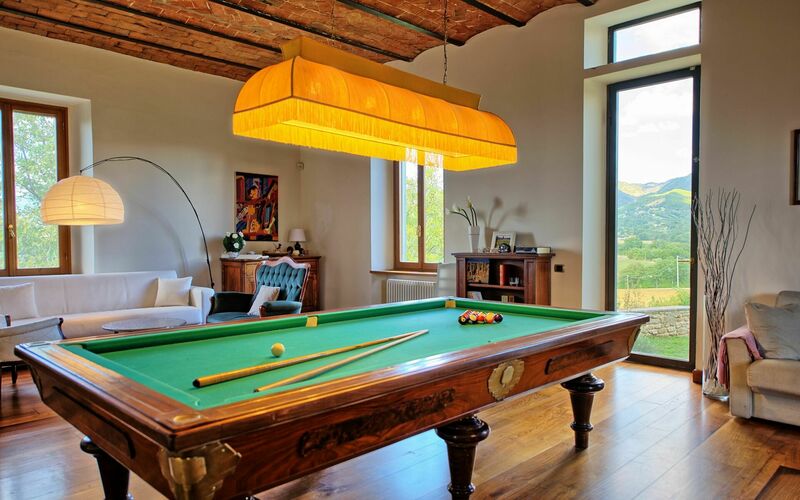 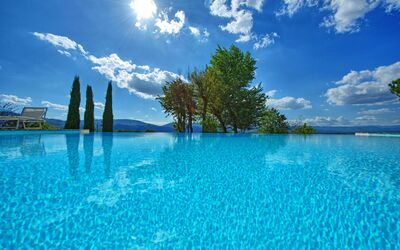 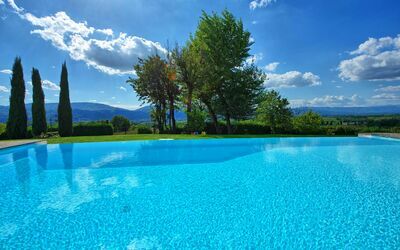 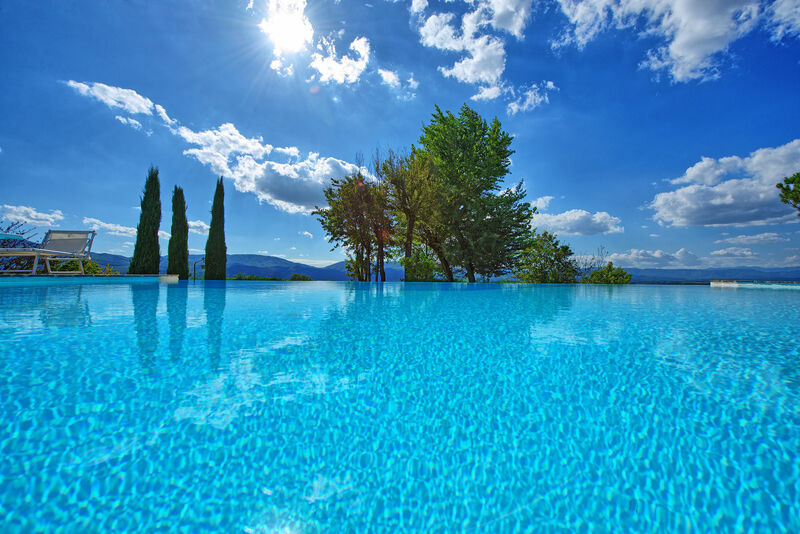 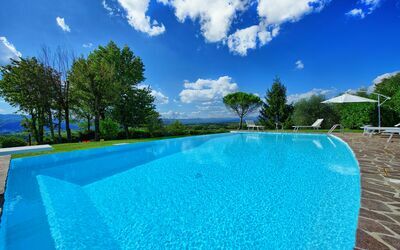 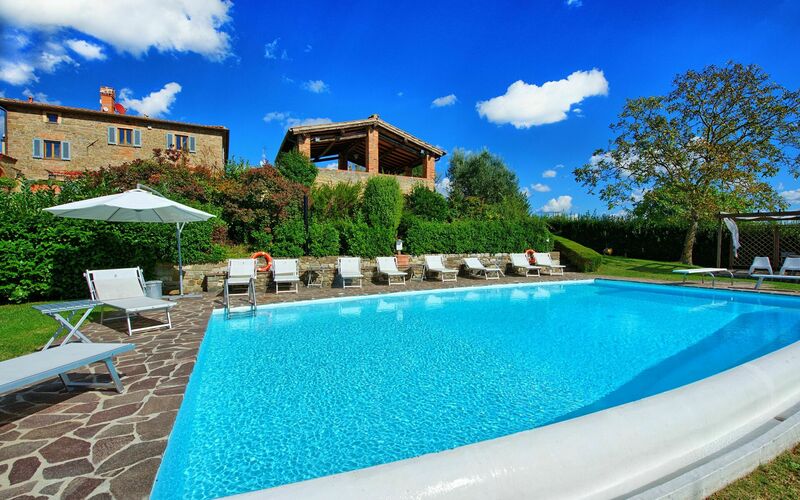 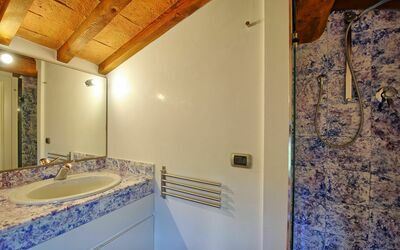 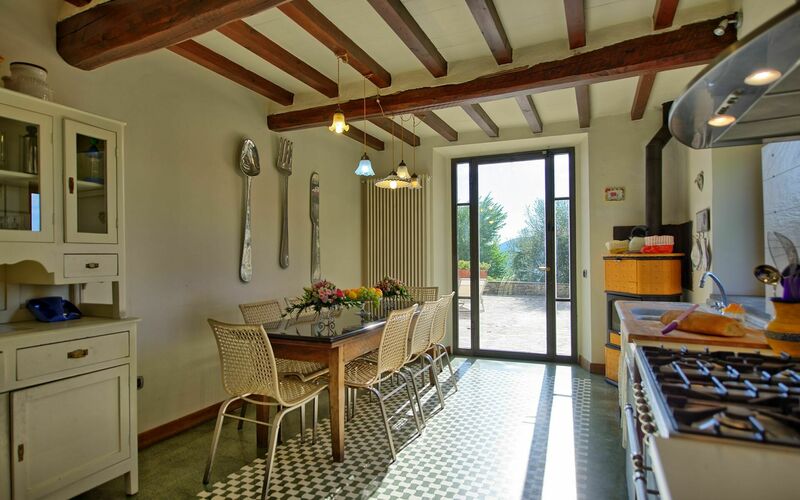 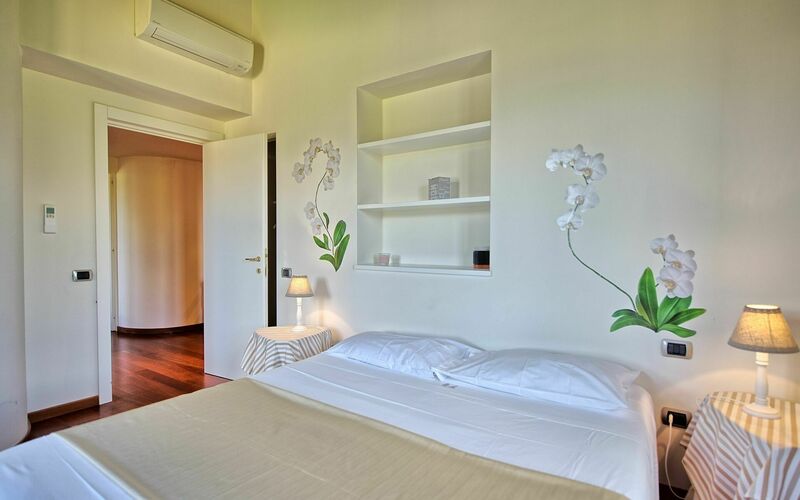 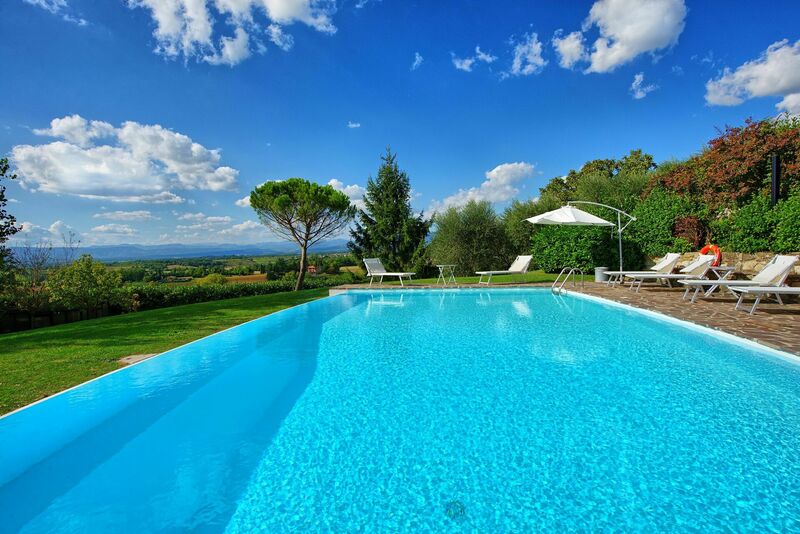 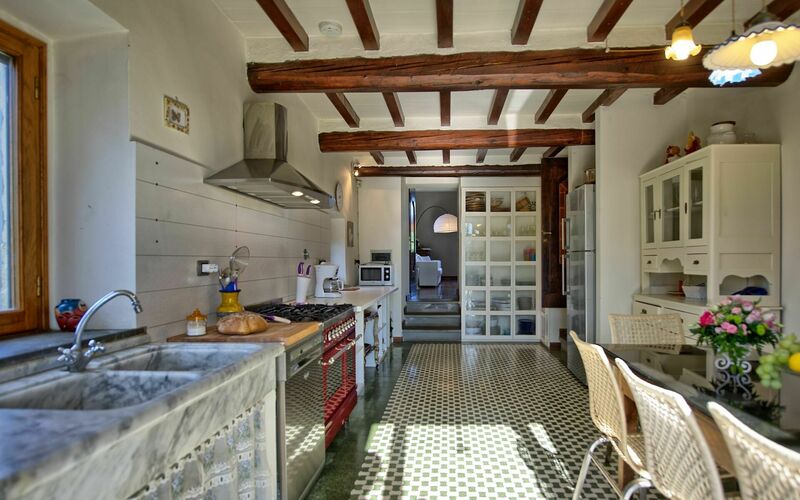 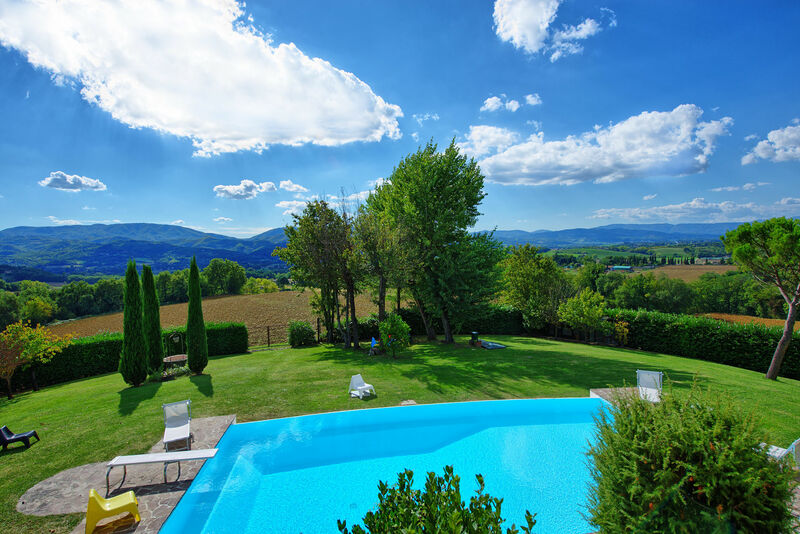 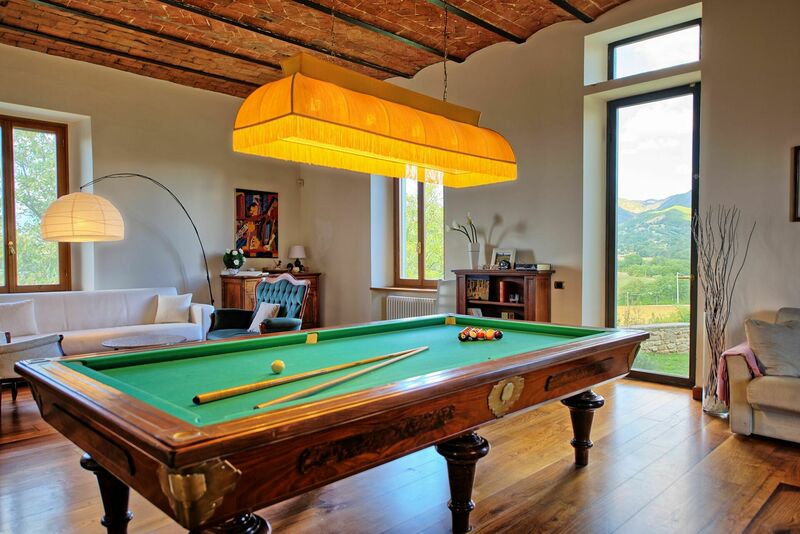 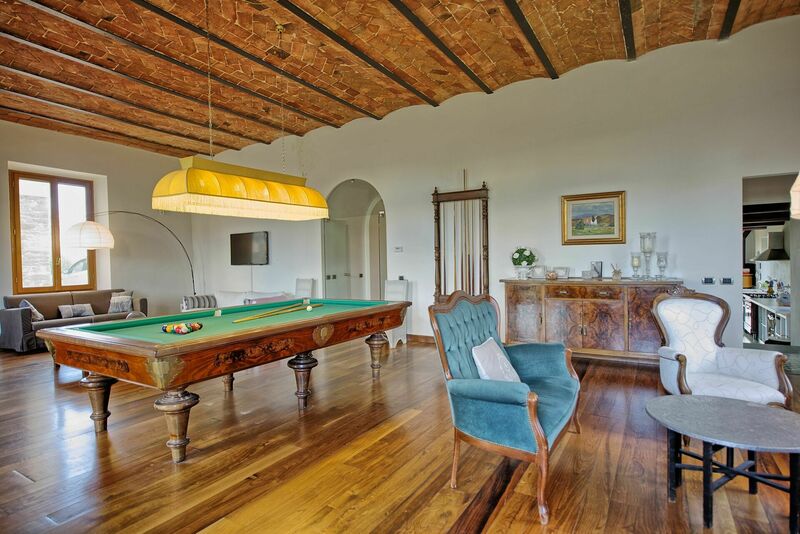 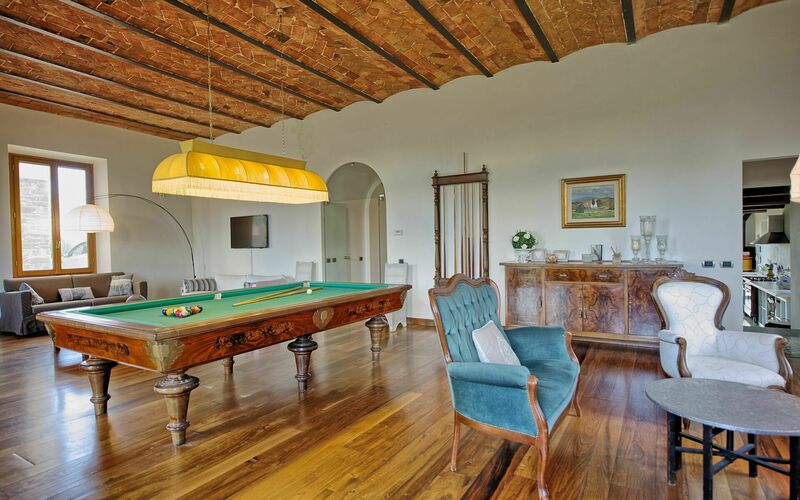 Spacious and comfortable villa with swimming pool just a stone’s throw from Vicchio, roughly 40km north of Florence. 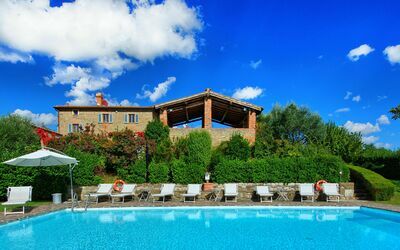 Vicchio has a train station which allows for easy connections to Florence (trains leave roughly every hour, with a journey time of 45minutes). 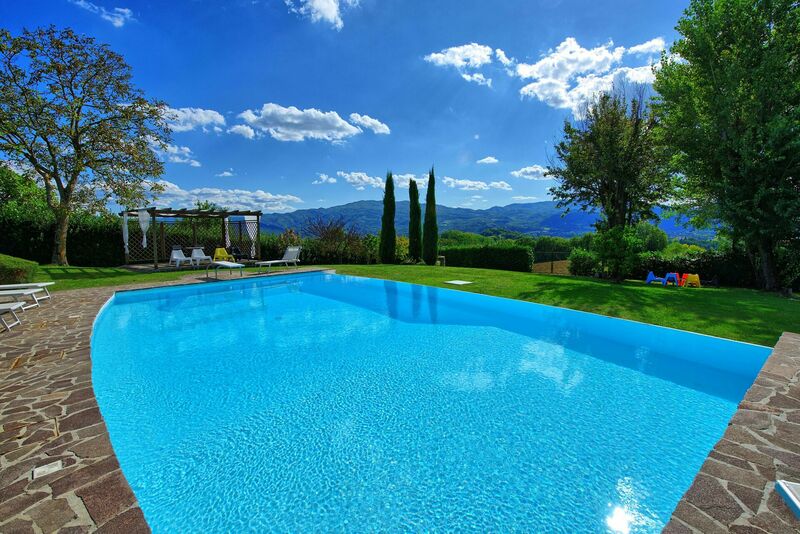 This beautiful rental villa is in a peaceful location with panoramic views. Just a few meters from the villa live the owners (in a completely separate property to the villa). 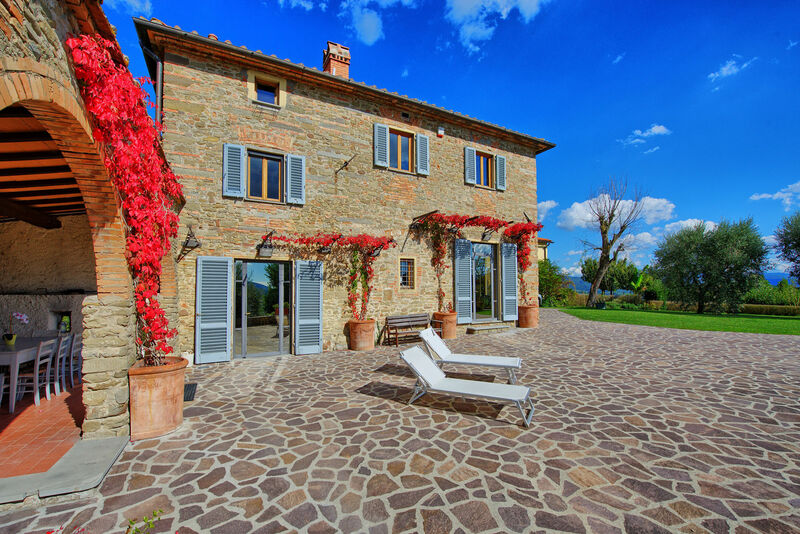 The rental property is reached via a small stretch of dirt road. 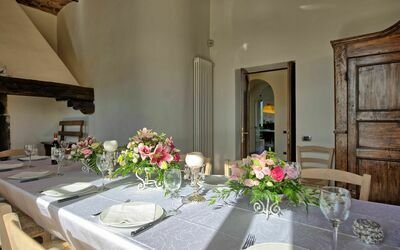 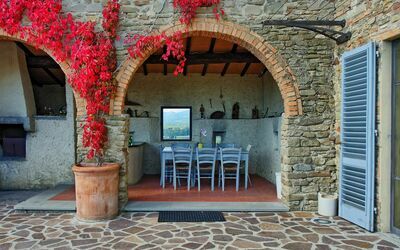 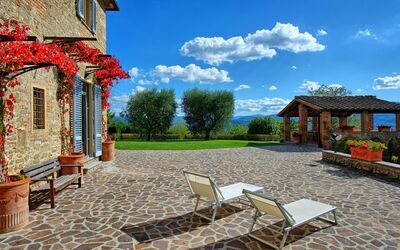 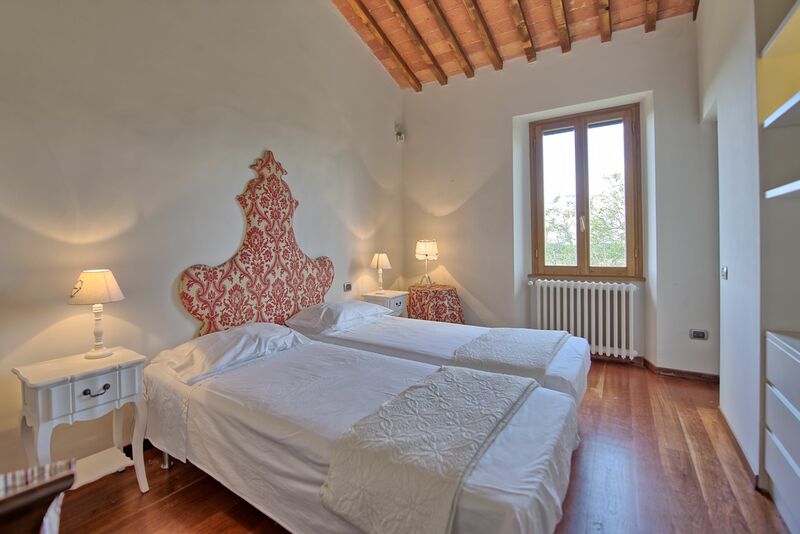 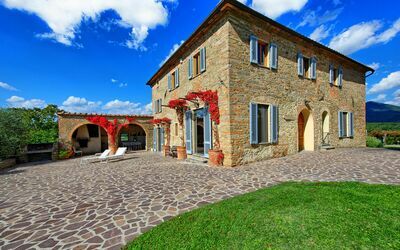 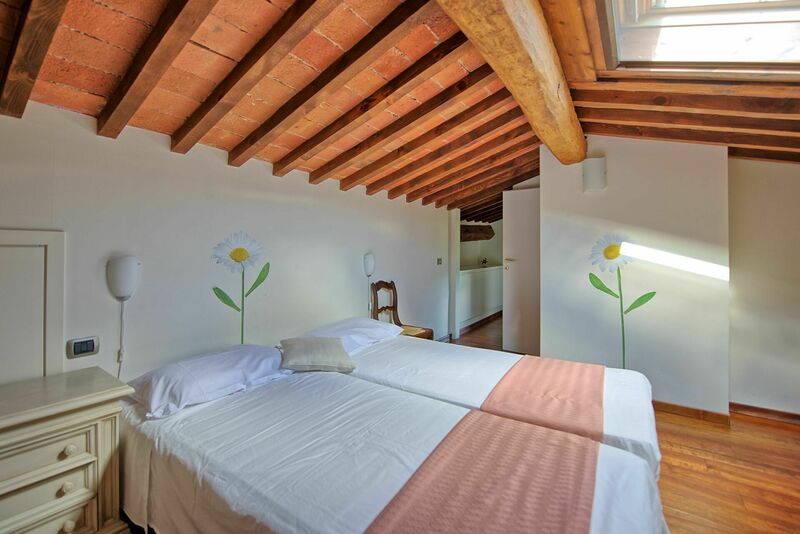 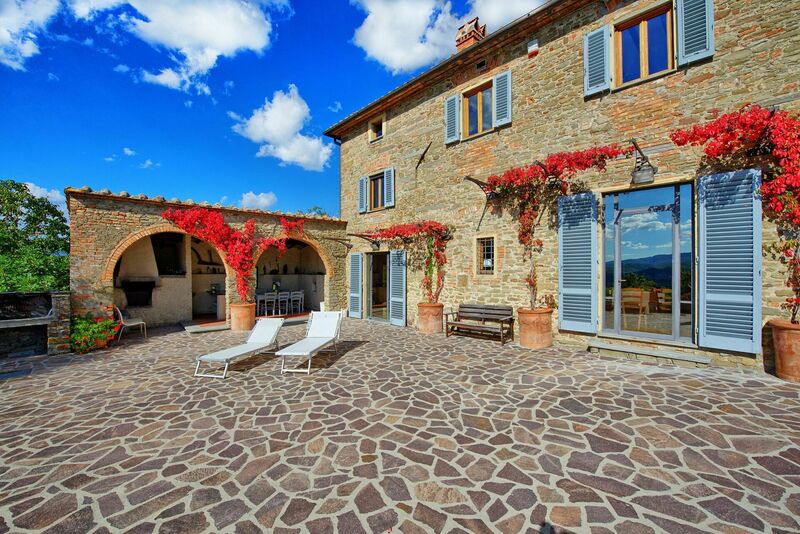 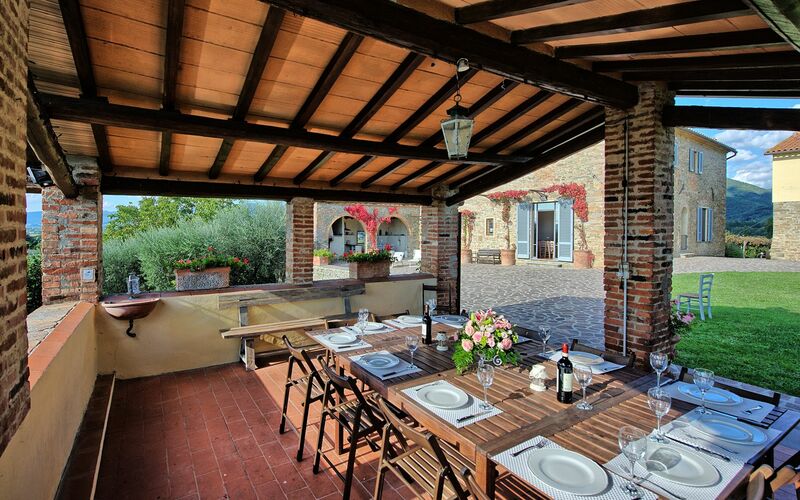 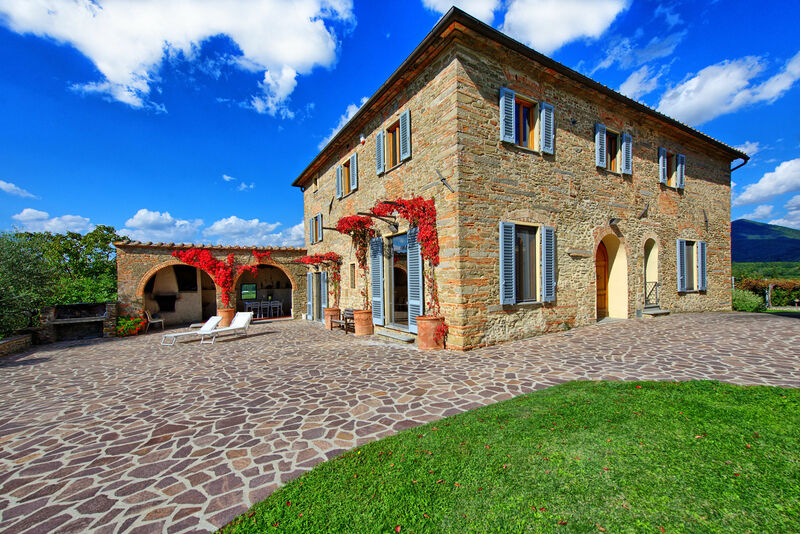 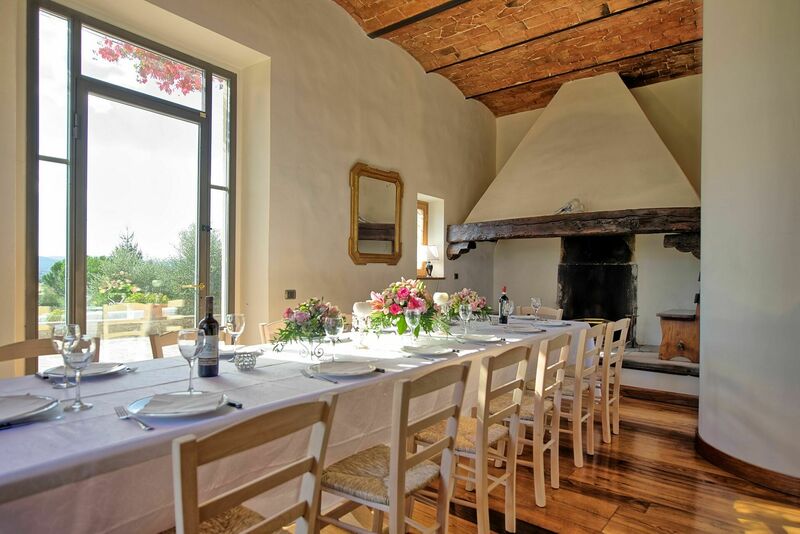 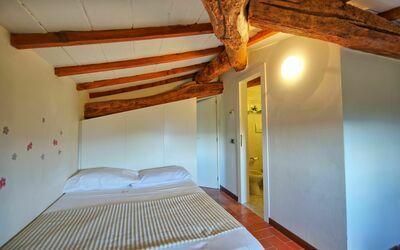 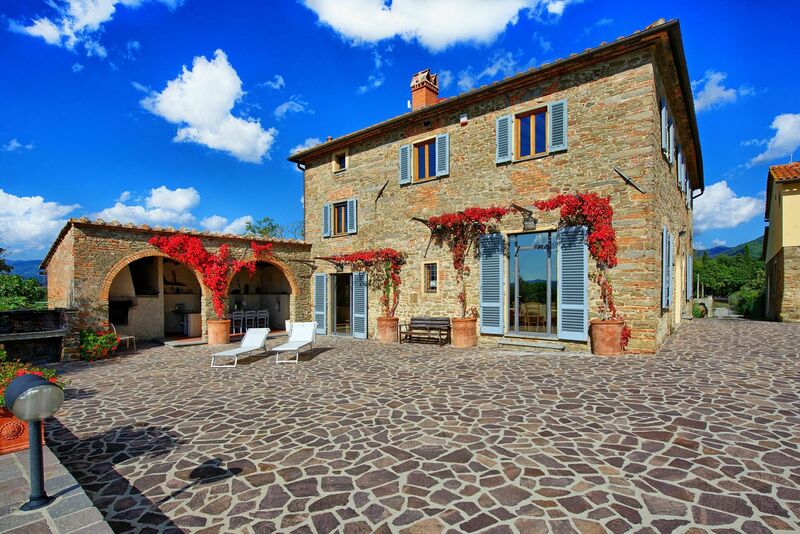 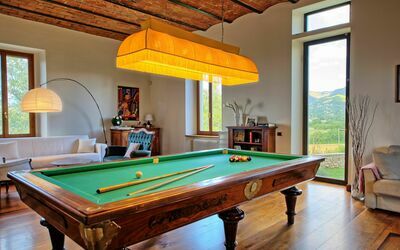 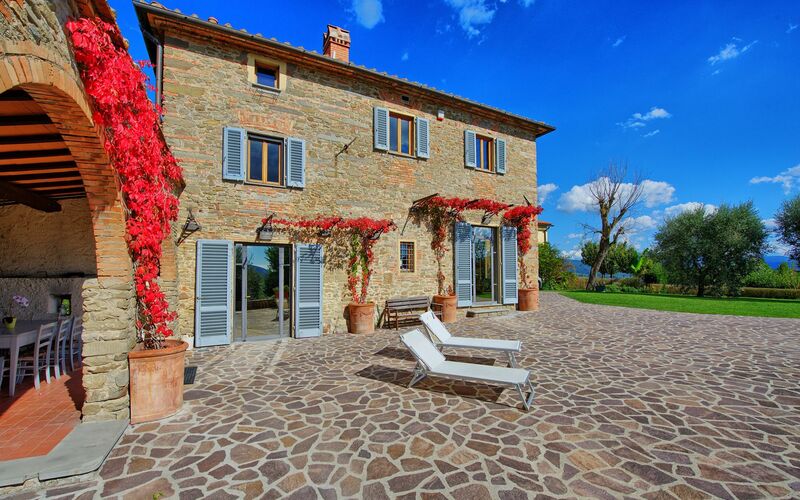 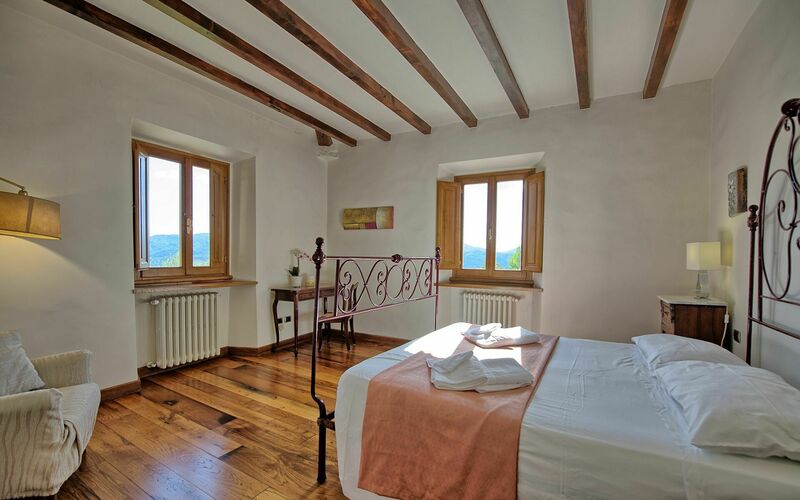 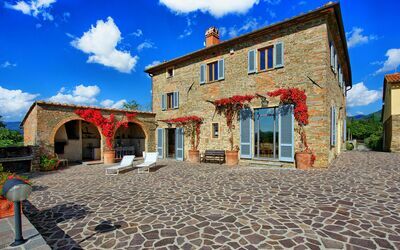 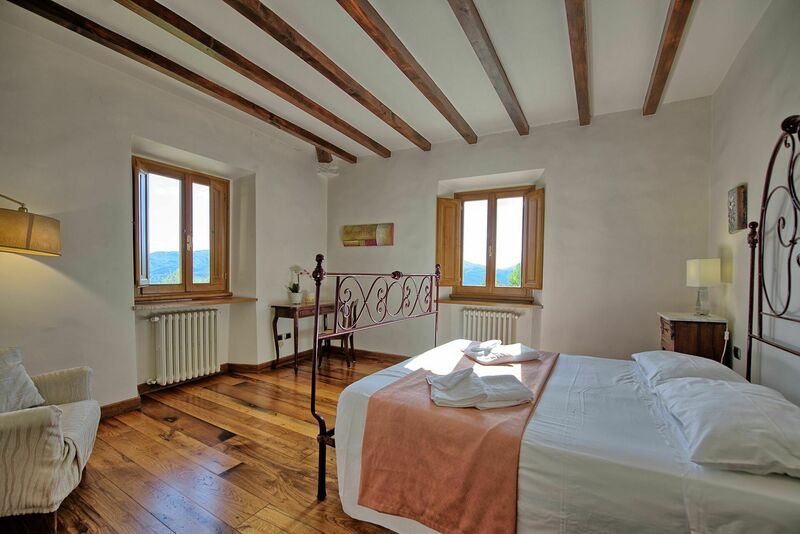 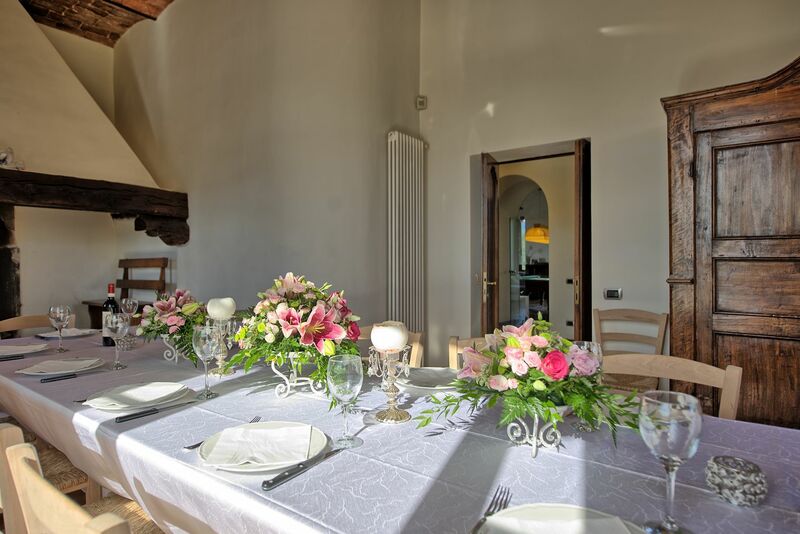 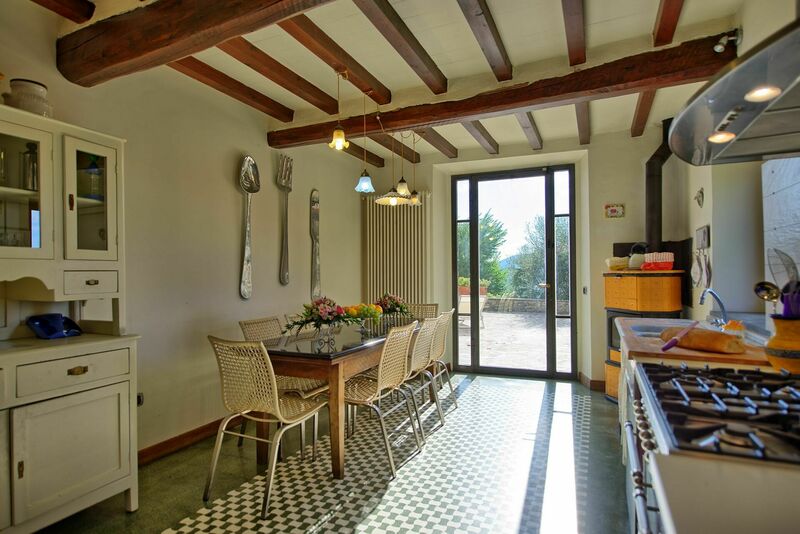 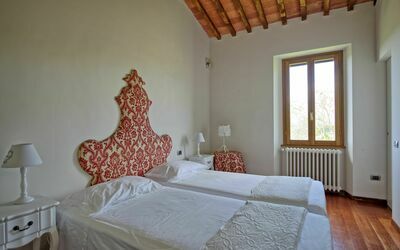 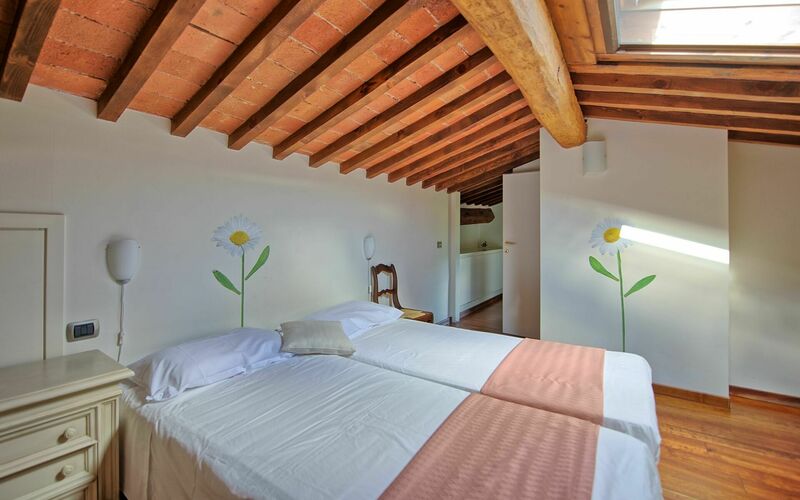 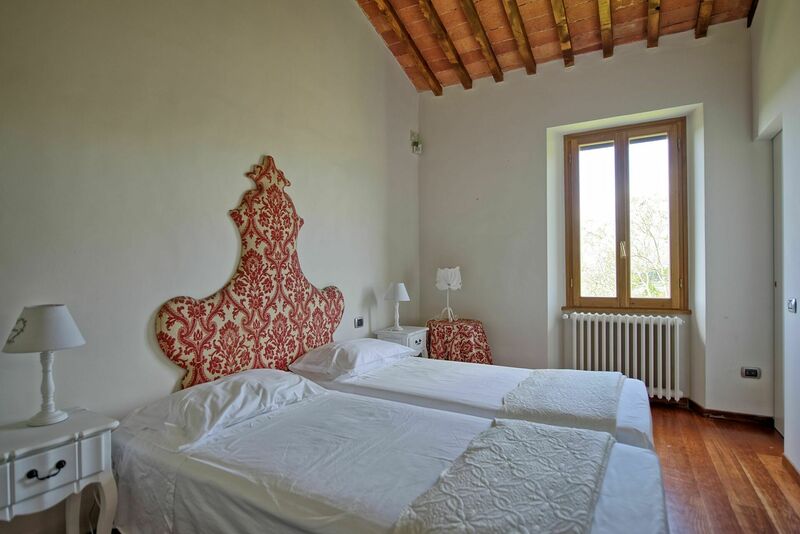 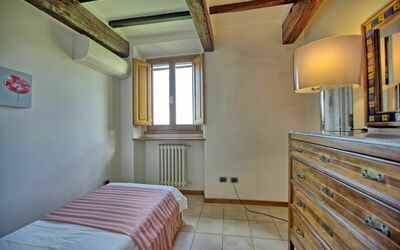 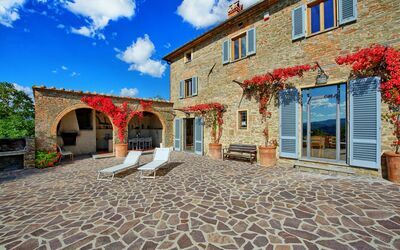 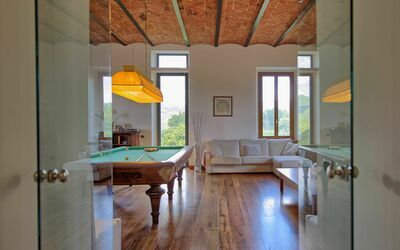 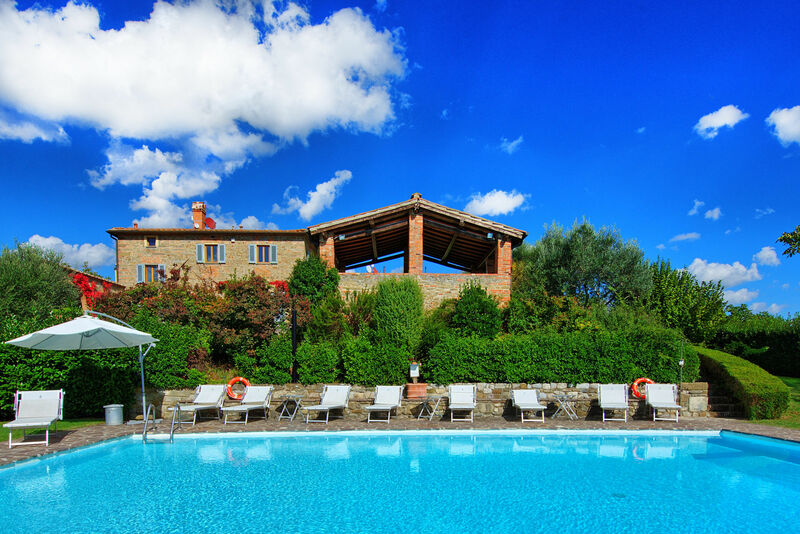 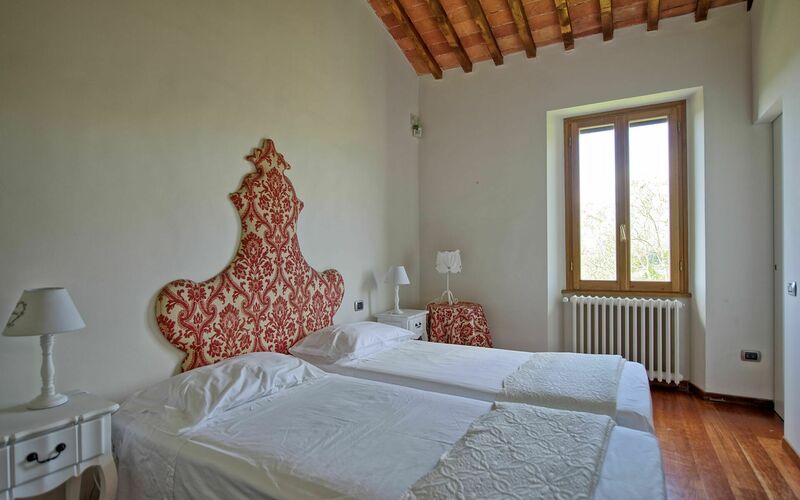 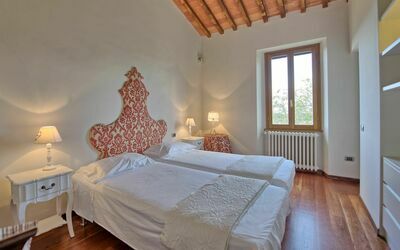 This rental is ideal for a group of friends or families and is a great base from which to discover Tuscany. Distances: Vicchio (wide variety of shops) - 6 km, Borgo San Lorenzo - 8 km, the toll booth at the exit of the highway A1 is roughly 25km away, the Barberino Outlet Village - 25 km, Florence - 35 km, the Chianti Classico wine region is within a range 50 / 100 km, Camaldoli - 70 km, Arezzo - 95 km, San Gimignano - 100 km, Siena - 125 km. 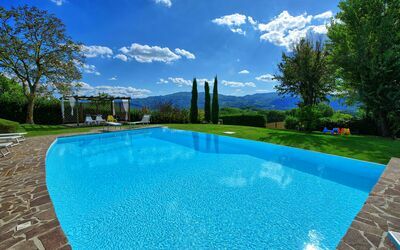 The international Mugello racetrack (Formula 1 circuit and world motorcycle championship) is roughly 15km away. 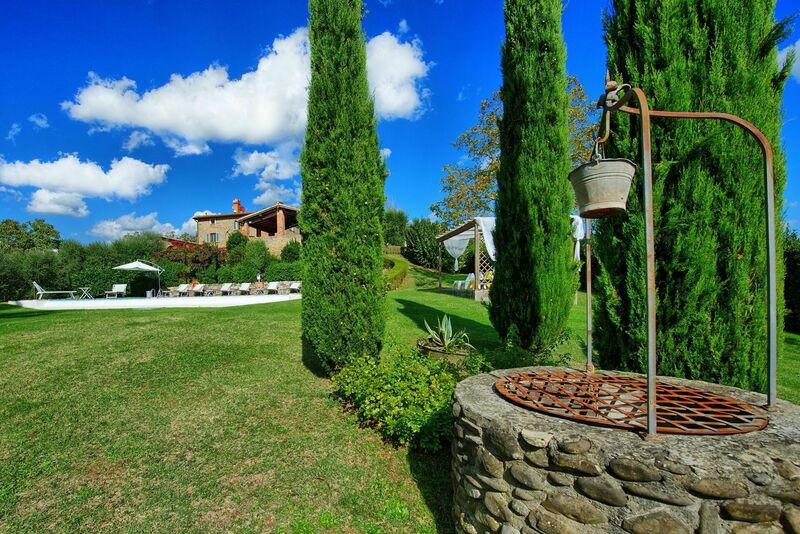 The Golf dei Medici golf course is roughly 15km away. Available to guests: large private outdoor areas furnished for relaxing and outdoor dining, barbecue and wood burning oven, swimming pool reserved for the exclusive use of guests (12x7m; minimum depth – 1.4m; maximum depth – 2.4m – salt purification), Wi-Fi internet, air-conditioning in every bedroom. 3 steps lower: kitchen (oven, fridge-freezer, dishwasher, microwave, American coffee maker) with wood burning stove and access to outside. 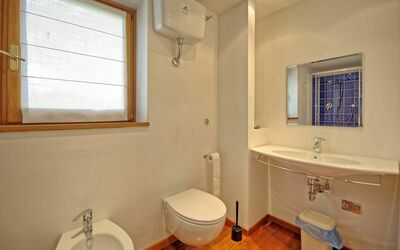 First floor: double bedroom, single bedroom, bathroom with shower. 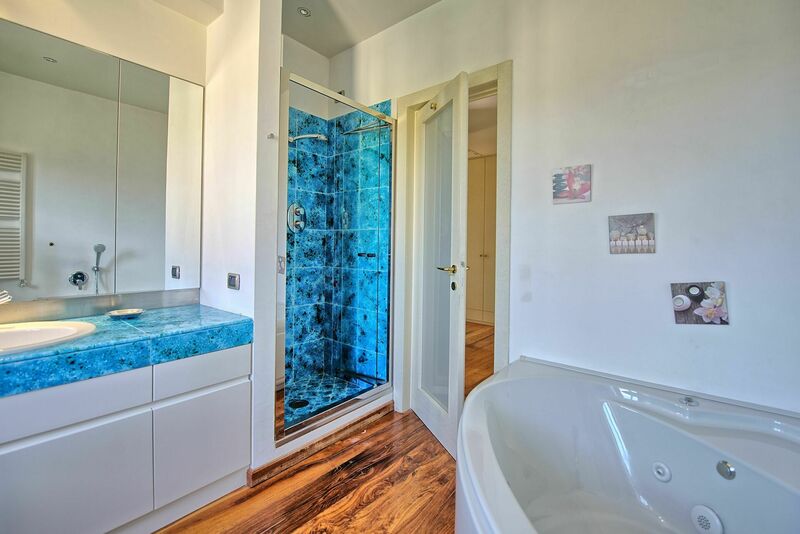 Second floor: double bedroom, bathroom with hydro massage bath and shower, bathroom with shower, twin bedroom, double bedroom, bathroom with shower, double bedroom with private bathroom with shower. 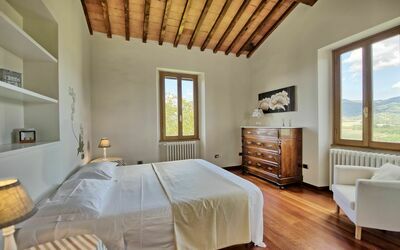 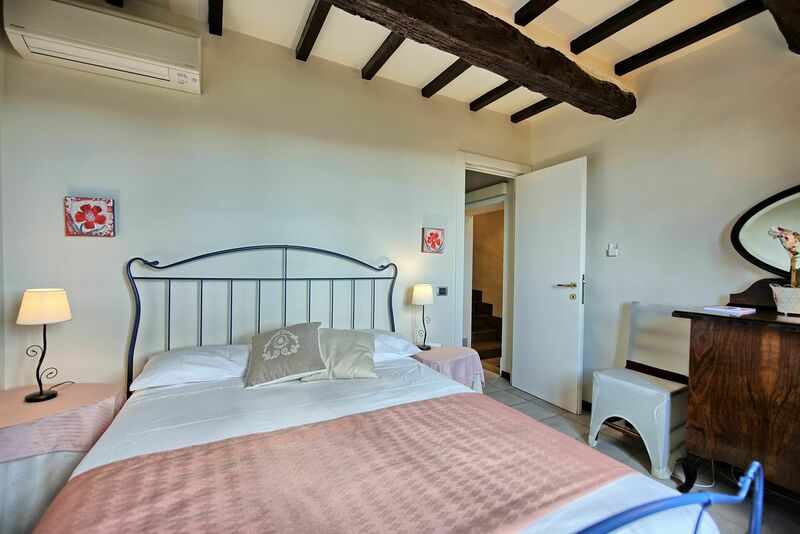 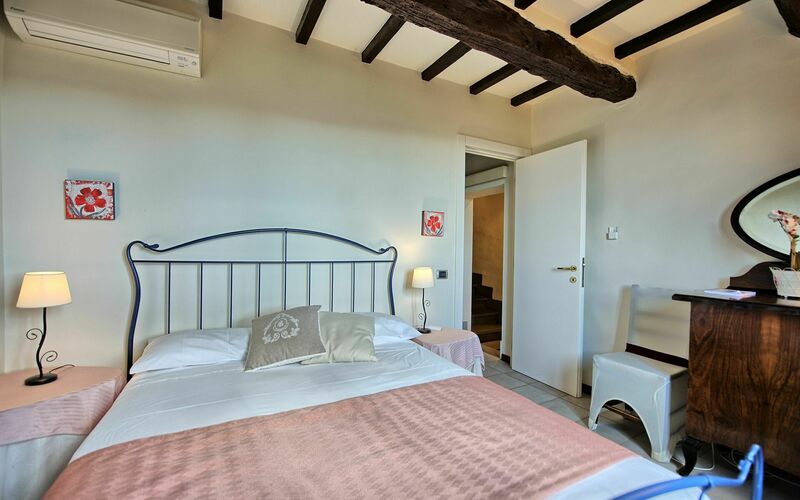 Attic (accessed from the second floor via a spiral staircase) bedroom with 2 single beds and with a private bathroom with a shower. The lowest ceiling height of the space is in the bathroom at 1.6m. 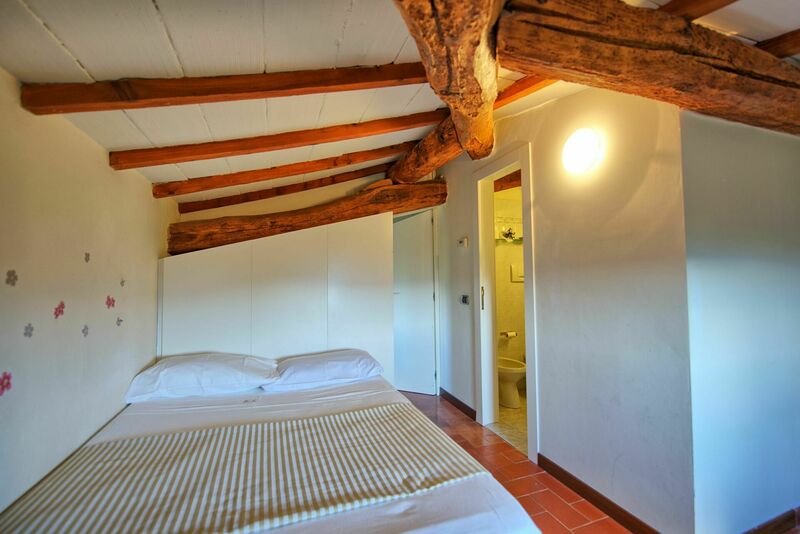 7 steps higher (from the second floor): double bedroom with private bathroom with shower. Electricity: included in the rental price up to 500 kw; further consumption is to be paid extra (€ 0,50 / kw).